ASCE Transportation Conference: May 11 Early Bird Registration Deadline. ASCE International Conference on Transportation & Development (ICTD 2016) is scheduled to be held at Omni Houston Galleria from June 26-29, 2016. Visit www.asce-ictd.org to access the details, and register by the May 11 early-bird deadline to save! Several special preconference events including Envision Credential Workshop, short course on Updates to 2010 Highway Capacity Manual (HCM), and TransportationCamp Texas 2016 – The Unconference. Several technical tours including Houston Transtar Traffic Operation Center, George Bush Intercontinental Airport, and Houston Uptown Management District. Rich program on a wide range of transportation and development topics organized in 40 sessions under 5 parallel tracks; additional content through poster displays in Exhibit Hall; potential for earning up to 24 PDHs. Call for participation - "Symposium on “Management of Future motorway and urban Traffic Systems”, Chania, Greece, June 2-3, 2016. U.S.-China Transportation Forum, Los Angeles, June 1-3, 2016. Call for papers: Transportation Research Part D (SCI and SSCI), Special Issue on “Urbanization, Transportation and Air Quality in Developing Countries”. Workshop on Activity-Based Modeling of Spatial and Temporal Patterns of Human Travel Behaviour, -- Tongji University, Shanghai, China, July 9-10, 2016. Call for Papers: IEEE International Smart Cities Conference (ISC2 2016), Trento, Italy, September 12 - 15, 2016. Call for Papers: World Symposium on Transport and Land Use Research 2017, Brisbane, Queensland, Australia, July 3rd- July 6th, 2017. Environment and Planning B Call for Abstract for Special Issue on Integrating Spatial and Social Network Analyses. 2nd International Symposium on Disaster Prevention and Migration of Infrastructure, - Xi' an, China, June 12 - 14, 2016. Transportation Research Part C: Emerging Technologies - Special Issue Call for Papers - Emerging Urban Mobility Services: Characterization, Modeling and Application. Global Workshop on Airspace Systems Performance 2016, -- Tianjin, China, July 21 - 23, 2016. VEHITS 2016: 2nd International Conference on Vehicle Technology and ITS, -- Rome, Italy, April 23 - 24, 2016. Workshop: Transit Vehicle Technologies and Their Impact on Sustainable Transport - TVT 2016, -- Rome, Italy, April 23 - 24, 2016. 2016 Internation Conference on Access Management, -- Pretoria, South Aferica, July 6 - 7, 2016. Congratulations to Dr. Yinhai Yang, Professor at Washington University, for his being elected for the 4-year position on the ASCE T&DI Board of Governors. Dr. Yinhai Wang has been elected to American Society of Civil Engineers (ASCE) Transportation and Development Institute (T&DI)'s Board of Governors for a 4-year term of office, effective October 1, 2016. In his first year on the Board of Governors Dr. Wang will serve as Treasurer. On October 1, 2018 he will become T&DI's President. Dr. Yinhai Wang is a Professor in Transportation Engineering and the founding Director of the Smart Transportation Applications and Research Laboratory (STAR Lab) at the University of Washington (UW). He also serves as the Director for Pacific Northwest Transportation Consortium (PacTrans), USDOT University Transportation Center for Federal Region 10. He is a longtime contributor to ASCE T&DI. He was a member on the T&DI Board of Governors (BOG) from 2013 to 2015. He has also been a member on the Advanced Technology Committee since 2008. Dr. Wang serves as a member of the Transportation Information Systems and Technology Committee and Highway Capacity and Quality of Service Committee of the Transportation Research Board (TRB). He was an elected member of the Board of Governors for the IEEE ITS Society from 2010 to 2013. 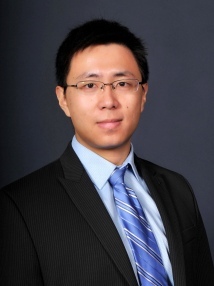 Additionally, Dr. Wang is the Associate Editor for three journals: Journal of ITS, Journal of Computing in Civil Engineering, and Journal of Transportation Engineering. Dr. Wang’s active research fields include traffic sensing, e-science of transportation, transportation safety, etc. Over the past thirteen years, Dr. Wang has actively involved in 71 research projects as the Principal Investigator (PI) and 21 research projects as co-PI. The funding totaled over $55 million for these projects. He has published over 110 peer reviewed journal articles and delivered more than 120 invited talks and nearly 200 other academic presentations. He was the winner of the 2003 ASCE Journal of Transportation Engineering Best Paper Award. He was the President of China Overseas Transportation Association in 2010-2012. Congratulations to Dr. Ke Han, Lecturer in Transport, Imperial College London, was recently named fellow of the Chan Wui and Yunyin Rising Star Workshop for Early Career Professionals. Dr Ke Han received his BS and PhD degrees in Mathematics from the University of Science and Technology of China (2008) and Pennsylvania State University (2013), respectively. He joined the Department of Civil and Environmental Engineering at Imperial College London in 2013 as a Lecturer (Assistant Professor). 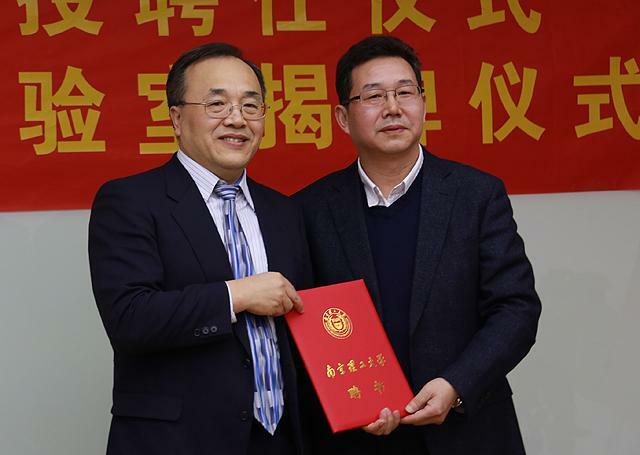 He is also a Visiting Professor at Nanjing University of Aeronautics and Astronautics. Dr Ke Han's research interests include traffic flow theory, network modeling, dynamic traffic assignment, traffic operation and control, network and mechanism design, sustainable transportation, and network resilience/robustness. To date, he has published over 60 journal and conference papers, and co-authored two books. He is an editorial board member of Transportation Research Part B and a guest editor in Transportation Research Part C. Part of his research is funded by the US National Science Foundation and European 7th Framework Program. He also undertakes consultancy work in the rail industry. "Joint International Research Laboratory of Intelligent Transportation" launched at Nanjing University of Science and technology. 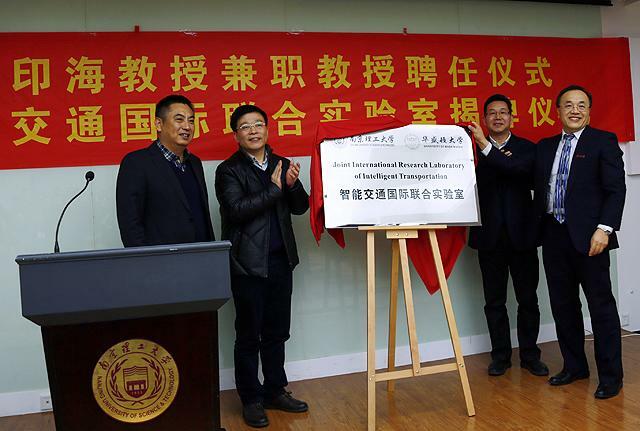 "Joint International Research Laboratory of Intelligent Transportation" was launched at Nanjing University of Science and technology, on March, 13th, 2016, joint venture by Najing University of Science and Technology and University of Washington. COTA member, Dr. Yinhai Wang (University of Washington) was appointed as the co-director of the laboratory. 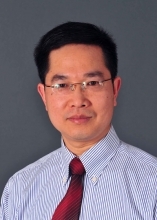 Congratulations to Dr. Lei Zhang, Associate Professor at University of Maryland, is appointed the Herbert Rabin Distinguished Professor in the A. James Clark School of Engineering. Dr. Lei Zhang is the Herbert Rabin Distinguished Professor in the Department of Civil and Environmental Engineering and Director of the National Transportation Center at the University of Maryland – College Park (UMD). He received his B.S. in Civil Engineering from Tsinghua University, and his M.S. degrees in Civil Engineering and Applied Economics and a Ph.D. degree in Transportation Engineering from the University of Minnesota. 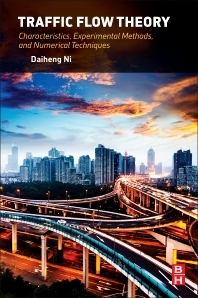 Dr. Zhang has published more than 200 peer-reviewed journal and conference papers on topics including large-scale transportation systems modeling and simulation, travel behavior, network dynamics, transportation economics and policy, and innovative mobility and sustainability solutions. He has received external funding support from NSF, USDOT, DOE, FHWA, SHRP2, NCHRP, and other federal and state agencies and private foundations, exceeding $24 million. Dr. Zhang has served in leadership roles at many conferences, expert panels, editorial boards and professional societies. Dr. Zhang is a recipient of the prestigious National Science Foundation CAREER Award, the TRB Fred Burggraf Award, U.S. Department of State APEC Science Prize, and many international best paper awards. Congratulations to Dr. Lili Du, Assistant Professor at Illinois Institute of Technology (IIT), for Her Winning of the NSF Faculty Early Career Development Program (CAREER) Award. Dr. Du’s is an assistant professor in the Department of Civil, Architectural and Environmental Engineering at Illinois Institute of Technology (IIT). Before joining IIT, she worked as a Post-doctoral Research Associate for NEXTRANS, the USDOT Region V Regional University Transportation Center at Purdue University from 2008 to 2012. She received her Ph.D. degree in Decision Sciences and Engineering Systems with a MS degree in Operations Research and Statistics from Rensselaer Polytechnic Institute in 2008. Dr. Du’s research is characterized by applying operations research, network modeling and statistical methods into transportation system analysis and network modeling. Dr. Du’s current research encompasses several interdisciplinary research areas in Transportation Engineering, such as Connected and Autonomous Vehicle Systems, Interdependent Infrastructure Network Modeling, Sustainable Multimodal Transportation Systems, Real-Time Traffic Sensing, Data fusion Applications in Traffic Flow Analysis, and so on. Dr. Du’s research articles have appeared in several major transportation journals, including Transportation Research Part B, Transportation Research Part C, Networks and Spatial Economics, IEEE Transactions on ITS and so on. Dr. Du’s research has been funded by NSF (including a CAREER award), Illinois Department of Transportation (IDOT), and University Transportation Research Center (UTC). Her recent project “Driverless City” won the First Nayar Prize at IIT. Dr. Du is currently a member of Transpiration Research Board Committee on Transportation Network Modeling (ADB30) and serves on the editorial board for this committee. She is also on the editorial board of International Journal of Business Analytics. A new Traffic Flow Theory textbook has just been published and is available at Elsevier: http://store.elsevier.com/product.jsp?isbn=9780128041345&_requestid=760868 . Instructors: after you adopt this book, you may contact the author and request supplementary teaching materials including solutions to end-of-chapter problems, lecture slides, and sample exams. Send email to Dr, Ni at: ni@engin.umass.edu.